Jessica Vartoughian, CEO and founder of Jessica Cosmetics International was honored by Glamour Magazine Mexico at their 15th Anniversary Gala along with 14 other iconic influencers. 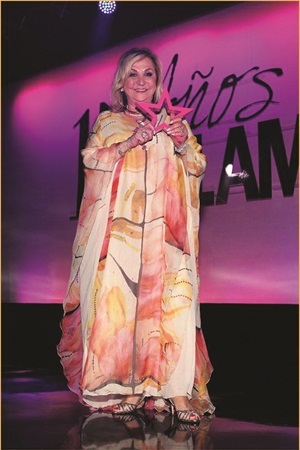 The Glam Award was presented at an invitation-only red carpet event in Mexico City where Vartoughian, “the first lady of nails,” received the Glam Award that recognizes the achievements of industry leaders who inspired Glamour readers. Other recipients included such luminaries as Eva Longoria, Demi Lovato, fashion designer Rolando Santana, and jewelry architect Daniel Espinoza. The recipients share a passion for life, and a dream that became a reality to enliven the public.